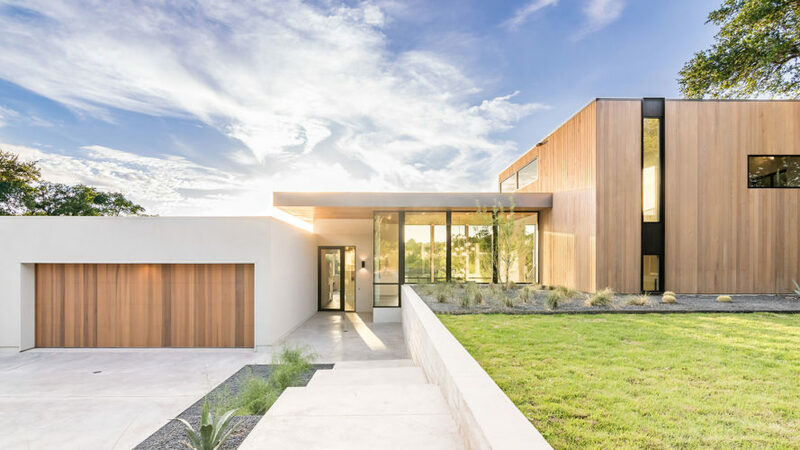 This gorgeous sprawling residence acts as a procession of spaces that frame perfectly the lush landscape of a sloped site in Texas. 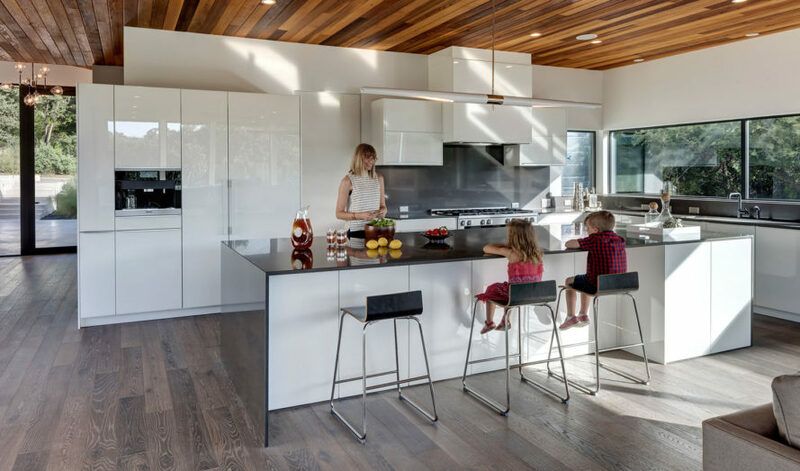 Matt Fajkus Architecture designed the building, appropriately named the [Bracketed Space] House, to soak up as much of natural light as possible and provide a living space for a family that enjoys indoor-outdoor living. The house is located on a sloped site in Austin, Texas. It reaches out to embrace the surrounding landscape and blur the line between the interior and the exterior spaces. The wings of the house are topped with flat roofs and are connected by a glazed volume that establishes a visual connection between the front and rear of the house. Open-plan interior spaces are oriented towards the courtyard with an infinity pool that overlooks rolling hills and forests. Cedar, steel, natural stucco, concrete and glass create a mixture of textures and colors. The house is located on a sloped site in Austin, Texas. It reaches out to embrace the surrounding landscape and blur the line between the interior and the exterior spaces. The wings of the house are topped with flat roofs and are connected by a glazed volume that establishes a visual connection between the front and rear of the house. Open-plan interior spaces are oriented towards the courtyard with an infinity pool that overlooks rolling hills and forests. Cedar, steel, natural stucco, concrete and glass create a mixture of textures and colors.